This recipe is mostly protein and fat. Serve it with a serving of carbohydrates such as fresh berries, a baked apple pie donut or a pumpkin spice coffee donut for a balanced meal. 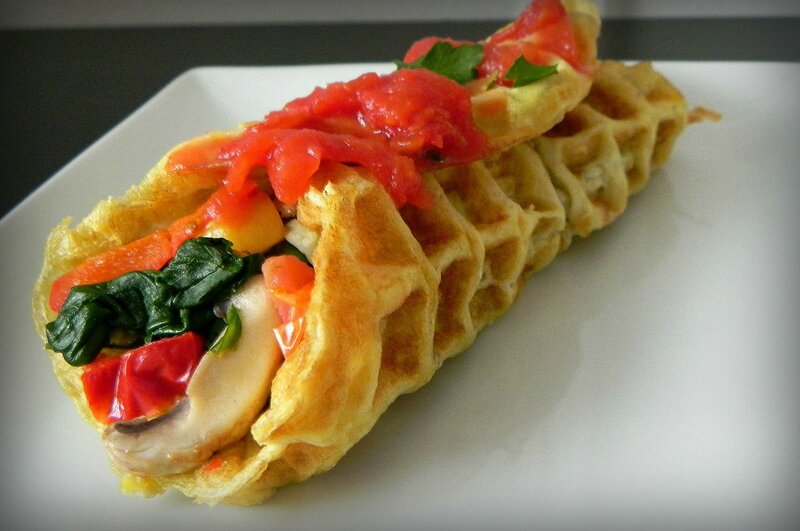 Dysphagia Level 2 – Ground/Mech Soft – chop entire recipe, including egg waffle, and omit salsa. Top with mashed avocado if desired. Dysphagia Level 3 – Soft – omit salsa and top with mashed avocado if desired. In a non-stick skillet sprayed lightly with cooking spray, add vegetables and saute until cooked through (about 4-5 minutes). Add dried herbs.